Daly City to close Engine 95 Fire Station. Effect on Pacifica / North County Fire Authority?? At the corner of Junipero Serra @ Washington Streets in Daly City is a large sign put up by North County Fire Authority Fire Fighters. I am wondering how this might work out and effect fire service in Pacifica and Brisbane, which are also served by the fire authority? We the other cities consulted on this? When the questions came out on Riptide, I envisioned doing this video at the bike park with the kids jumping in the background. Even though noone gave a crap about bike parks during the election it was the best part of the campaign. Gearhead and others were going to find the financing for the project with only city guidance and supervision. Even though I did not get on I’m hoping someone on the council will take up and make it happen. Jeannie had not done much video, but she has a future in broadcasting, I think. To prepare for the video she and her girlfriends came out to have crab sandwiches at Nick’s. Introduction: Temporary Art galleries have been used in numerous cities to improve streetscapes and draw traffic to commercial areas. There have been a number of articles written about these projects that have had financial sponsorship from municipalities, but not one example where a municipality had no material participation. Replacing vacant storefronts, these galleries create new energy, and often draw new commercial tenants to vacant storefronts. During 2010, City of Pacifica, CA, formed an “Economic Development Committee” (EDC) consisting of City Manager, two Council Members, and reps from Chamber of Commerce and Business. The Committee has sought to address economic issues that the City has faced over the past few years as a result of the national recession. Numerous projects have been taken on, including, but not limited to: branding, location maps, business retention and attraction, building and planning process improvement, organizing of merchants associations and cooperation with entitles such as Small Business Administration. One of the shopping centers in Pacifica, Eureka Square, has suffered the most with a vacancy rate of over 50%. One of the EDC members had visited a “storefront art gallery” called the “Phantom Gallery” during 2008 in the City of Santa Rosa, sponsored by the Santa Rose Redevelopment Agency. The idea was to do something like that at Eureka Square, or any of the city’s vacant spots, was suggested in August 2011. This would marry artists to a landlord and fill a long vacant space. With no possible funding available from City of Pacifica, the EDC looked inwards to figure out how a similar program could be established, to temporarily tenant one of the vacant storefronts. One of the EDC members, an independent grocer, owner of “Oceana Market” in the Eureka Square Shopping Center played a pivotal role in first approaching the landlord, via its management company, and shepherding the project to fruition. Pacifica has an active artists community, which takes the form of the Art Guild of Pacifica, with over 400 members. Discussions were held between EDC members and Art Guild with goal of establishing a gallery at the troubled shopping center. There was agreement by all that this would be a great program, but there were a number of issues to be overcome: making agreement with the landlord for a “free rent” month-to-month tenancy, financing the needed tenant improvements, insurance and staffing. The Art guild and landlord were prodded by the grocer to craft a month to month agreement, which allowed both parties flexibility. City of Pacifica was not a party of this rental agreement. Art Guild would be ultimately be responsible for all utilities and upkeep, however to get started, all the costs for building out the gallery and ongoing operating expenses are borne by Oceana Market, the sponsor. It is hoped that some income from the artists themselves, (from the art shows and use of the space as a venue for other functions) could be reinvested and used to pay the operating expenses nominal utilities. Insurance on the space was accomplished via a rider on the Art Guild’s existing policy on their existing facility elsewhere in town. (Again Oceana Market is reimbursing the additional insurance premium until the gallery becomes self-sufficient). The biggest obstacle was furnishing the space to accommodate art displays. The empty space (a former martial arts school) needed a total upgrade. Lighting would be needed for illuminating the artwork. Some furniture was needed. Oceana Market, stepped up to use their own handymen to install temporary movable light fixtures, paint the place, upgrade bathrooms, and cover some of the cracked flooring. To assist them, members of the Art Guild put in great deals of time to work on the gallery. Portability of the lighting fixtures and other improvements was an important consideration in the event the landlord let the space to a paying tenant. The installations can easily be moved elsewhere. After nearly 6 months of discussion, an attractive gallery was created. Numerous artists were recruited to provide examples of their work for the grand opening. Restaurants and the grocer provided complimentary snacks and refreshments for the gala grand opening in April 2012. Nearly 150 or so attended. A shopping center with little life had a full parking lot for the first time in many years. The community has warmly embraced the project. Art will be changed every six weeks, a second opening night was held in June 2012 with another large crowd gathering at the gallery. While use of thegallery by the public has initially been limited to weekends, drawing a steady stream of viewers to the center, the Oceana Market and the Art Guild are working to have more going on at the gallery during the rest of the week. “Live Art”…that is artists working on new art, is one of these new events, which will hopefully bring more traffic to the gallery. Staffing of the gallery, once a concern, has not been an issue, as there are adequate numbers of Art Guild members willing to pitch in and mind their gallery. Word of the gallery has reached the city’s Hotel Business Improvement District, and the hotels recently requested all fliers for art gallery openings to provide for guests in the future. In conclusion, the essential elements for a program like this are: willing artists, willing landlord, some sponsorship on the part of private business, and some type of entity to carry the insurance for the gallery. Galleries such as these, involving no public funding, can be easily replicated and become community assets. The Pacifica EDC, using the Art Gallery Model, hopes to inspire similar enterprises, at no public cost, and is currently researching the establishment of a “Small Business Incubator”, which would also fill a vacant storefront, and hopefully nurture businesses which would in time occupy other vacant stores in the City. Victor Spano last Thursday gathered some campaign supporters at Mary Brown’s insurance office for an informal discussion about his vision for Pacifica’s future if he is elected to the City Council. Spano, the economic development coordinator for Daly City, has a real estate development degree from the University of Southern California and an extensive network of classmates from which to draw potential business to Pacifica. Spano said he’s interested in taking proposals for the quarry, Beach Boulevard and Eureka Square. His priority for Pacifica is to fill vacant stores. To be successful, Spano said he believes Pacifica needs to grow. And for that to happen Spano said he hopes the city can attract a developer to do condominium and apartment projects. The Pacifica City Council appointed him to the Economic Development Committee, where along with Oceana Market owner Vasu Narayanan he launched the Oceana Art Gallery in Eureka Square. Other projects he’s working on include a movie night screening and a new business incubator. Spano also is a member of the Chamber of Commerce Tourism Committee and hopes to draw sports groups for meets in Pacifica. He opposes the city’s ordinance requiring homeowners to repair their lateral sewer pipes when selling their houses and is against all other sales restrictions. Brown said she supports Spano because he can give Pacifica the boost it needs. “We’re hopeful things will be improving,” she said. The era of Pacifica’s environmentalist wing’s dominance of city politics is over. That’s according to the top two vote-getters in last month’s election for the two-year term on the city council. Mike O’Neill and Victor Spano represent a pro-business faction that’s emboldened by an apparent repudiation of a once-mighty Pacifica environmentalist voting block. O’Neill’s decisive win in the two-year race figured prominently in an election that dramatically changed the dynamic of a council that for decades has been dominated by the city’s environmentalist faction. Pacifica voters last month gave the city’s pro-business faction a decisive 4-1 majority on the council, voting in Karen Ervin and returning incumbent Mary Ann Nihart, who along with O’Neill and newly elected Mayor Len Stone give the city’s pro-development wing more clout than it’s had in recent memory. Sue Digre is Pacifica’s only remaining environmentalist left on the council. “I think it shows that (Pacifica’s) pro-environmentalist movement subsiding,” said Victor Spano, the runner-up to O’Neill in the race for the two-year seat. Spano finished ahead of Sierra Club-endorsed Richard Campbell by a razor-thin 23-vote margin (4,060-4,037). The two pro-business candidates combined to garner more than 60 percent of the vote. O’Neill said the election reflects a change in the electorate, with Pacifica voters expressing their angst with years of budget deficits, shuttered businesses and proposed cost-cutting measures. For his part, Campbell rejects the notion that Pacifica’s green movement has become non-factor in city politics, noting that his pro-environment stands did not in his estimation represent a hindrance to economic development. Campbell said he campaigned on economic development, too. O’Neill acknowledged that Pacifica’s environmentalist faction is in tune with the city’s desperate need to promote economic development. “I think they’ve acknowledged the realities of today’s world,” he said. He also acknowledged that pro-business in Pacifica doesn’t mean the same thing as pro-business Bakersfield does. Spano and Campbell said they’ve both congratulated O’Neill on his victory. Campbell said he believes O’Neill’s real estate background is an asset to the city. “I wish him well and I believe he can serve effectively,” he said. Both left the door open to a 2014 council run. Campbell acknowledged he’s thought about another council run, too. Are you a homeowner? How long? Yes, since 2008, I bought a bank owned house. We love Fairmont. What prior elected offices have you held in Pacifica? Describe community involvement and membership in groups that you belong to. No elected office previously. Member and chair of Pacifica Economic Development Committee 2011-2013. Fogfest Contest Chair, Rotary Club of Pacifica, president elect, club administration, website and youth exhange chair. Pacifica Chamber of Commerce member, tourism committee member. How much have you raised for your campaign? What is you total budget for this election? Who are your committee chair, treasurer, and key volunteers? About $12,000 in actual contributions, my own funds, endorsement award, or commitments for future contributions, from friends from and outside of Pacifica. I’m a solo act, no committee chair, treasurer, campaign manager, a handful of like minded residents, some Cabrillo School parents, former co-workers and grad school buddies help me now and then, but noone is spending more than a few minutes a week. I have not lived in the community all my life, and do not have the extensive networks that some of the candidates have, so I work harder. My wife Carmen is my biggest helper she is in charge of mailings Consistent work on the campaign, several hours a day, is what it takes. Multi-media campaiging: facebook, twitter, website, signs, are being used extensively. I have plenty of advice from former council members, school board members, political activists and others. With Pacifica’s $4 million deficit, what is your economic recovery plan for Pacifica? I have estimated that the value of the Beach Boulevard, the Francisco Parking Lots, and the city’s corporation yard, put together, is about $4 million. Let’s start by marekting these and cure the deficit as quickly as we can. We also need to facilitate Economic Growth. Encourage creation of new hotel rooms, bed and breakfast rooms, work with State and possibly federal authorities to receive transient occupancy taxes from “Air BnB” internet rentals. Encourage housing development, within the limits set by the growth control ordinance, following “Smart Growth” as defined in the Climate Action Plan. 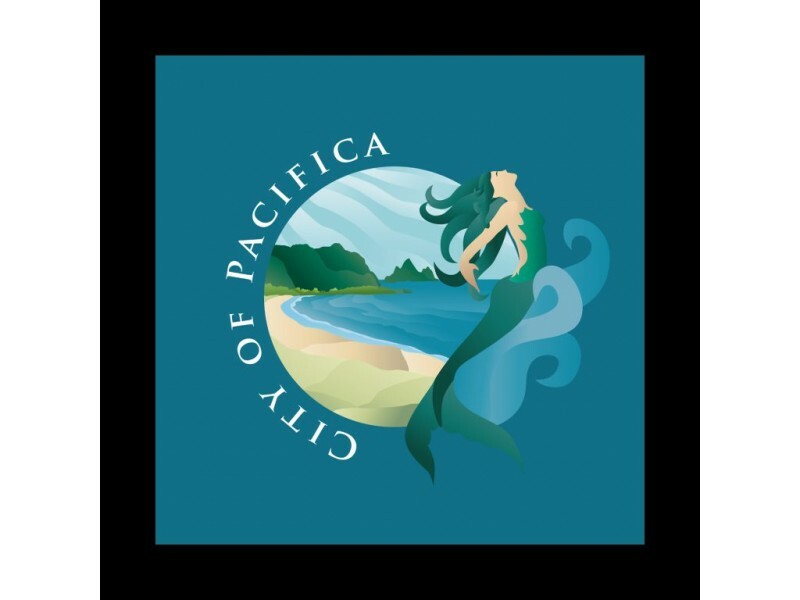 The Chamber is doing a phenomenal job of marketing Pacifica, let’s help them, work with them, bringing customers and dollars from outside Pacifica to Pacifica in the form of tourists from all over the country and all over the world. China, Russia, India and Brazil are sending an amazing number of tourists to the USA. Let’s do special outreaches in these countries in their languages. Let’s facilitate the creation of 200-250 more hotel rooms here in Pacifica. Let’s consider lowering the transient occupancy tax to improve the competitive advantage of our existing hotel properties in the Bay Area market, in turn, creating more room nights and more transient occupancy tax for Pacifica. We should at the very least try this as an experiment. Let’s bring KIMCO and Avalon Bay to the table regarding their Fairmont properties. As the area nearest to Colma Bart and San Francisco, this is a logical point for a “Smart Growth” transit oriented revitalization, which can dovetail Skyline Boulevard improvements. We need to have a full time staff person, at Manager or Coordinator level, hired soon, to work consistently in the area of Economic Devleopment. The city has talked about this, but there is, to date, no recruitment occurring. For the past 11 years, inter-fund budget transfers have taken place with no public knowledge andno repayment plan. What is your position on this practice and solution? I think it is a very common practice in many cities. I oppose. Can the inter-fund budget transfers be listed on the Council agenda for approval, just as Check Disbursements are? That might take some courage, and it would consume time, but after all, there is mistrust, and such a move would restore trust and provide the public with rationale for doing so. The unused City sewer plant has sat vacant for 16 years (Beach Blvd project). What are your thoughts on the delay and ingredients for a successful development? I attended a meeting during the early 90s at the Sharp Park Library regarding the Beach Blvd. Site. I think that over 20 years later, it’s pathetic nothing has happened. The City staff and Council has not pushed hard enough on the Coastal Commission to complete their review. As I said during 2012, the City needs to hire a broker to market the property “as is” and complete a transaction. Get the property on the tax rolls, and there will be even more income when the property is entitled and has a project built on it. Pacifica is now paying entitlement costs. This has to stop. Let the buyer complete the entitlement and pay the costs…to Pacifica. A private developer has more of a motivation to finish the entitlement. We don’t have a planning director now, this impacts the Beach Blvd site. We need to find a new one soon. Or have the City Manager step in that role, temporarily, until one is found. The program that has been defined in the EIR is good enough, consisting of hotel, townhomes, restaurant and library. Several parties, including myself, have brought offers to buy the property and develop it, and let others develop the new library on or off site. The library bond referendum is suggested as a milestone in order for the marketing of the balance of the property to occur. It is to be seen as to whether or not anything will ever happen. Pacifica needs a Main Street. After all Pacifica as a city is 57 years old! What leadership will you bring to steer a Pacifica Main Street to its fruition? I am spirited by Ryder Homes coming to Pacifica along Palmetto to do a first rate small development of 4 ample townhouses here, with marvelous architectural style that will change the face of Palmetto. In order to create a Main Street, you need to have some synergies in place. More residents are needed, and Pacifica needs to ask itself if it wants to, or can increase densities along Palmetto?. I am guessing there will be great resistance to that. More residents in the area will attract new business. I could see a small “trade school” along Palmetto, which might create “daytime traffic” here. We knew the owners of Candy Oasis which recently closed down after two years of operation. It was a great business, but it was dependent a lot on local business. If there are not many residents in a area, businesses find it hard to flourish. In absence of a large population, “joint-marketing” has been successful in increasing awareness. You would be surprised how many Pacificans have never been to Palmetto. You don’t know it exists driving down Highway One. A reader-board sign before the Francisco/Paloma exit, on school district property….or something less extravagent is needed to direct Highway One traffic to Palmetto. Former City Manager Rhodes had gotten some sort of agreement for “Business Route” signs, whatever happened with that? 2012 Mike O’Neill’s idea to rezone some properties in the West Sharp Park Area, like “Santa Cruz Beach Boardwalk” was an intriguing idea, I wonder what happened with that? I remember Kevin’s Cottage…having breakfast there, it’s too bad there are not more restaurants on Palmetto. A lynchpin of Palmetto is the city’s Beach Boulevard Property. This can be an activity center. A first rate hotel will bring visitors looking for restaurants and activities. I am not opposed to a new library, I am opposed to indebting our children and ourselves for it. Selling the property soon, to a developer, minus a 22,000 foot “land reservation” for the new library, on the corner, or other community facility, is the thing to do now, or soon. Waiting for the Coastal Commission may take a long time, let’s get Jerry Hill or the Governor’s office of Economic Development to go to bat for us with the Coastal Commission so that they can “process” whatever they are processing. Lou Papan long ago taught me that kicking and screaming does some good, most of the time, he got a lot done, I want to follow his example and scream a little more at the bureaucrats with the Coastal Commission. In Linkedin.com I have over 4200 connections in commercial real estate, local retailers, national retailers, developers, looking for opportunities. I believe I can help to recruit development to Palmetto. We don’t have an Economic Development Manager, or even Coordinator at this point, who would otherwise do these things. Leadership in this area needs to come from Council, not staff. I worked in Economic Development during my career with Daly City. Now that I am retired, I want to put that expertise to use, and help to create a community that works in harmony with our spectacular hillside, coastide, natural setting. What taxes would you support, or not support? Explain. Under what terms/conditions would you support a new tax in your next 4 year term of office? Explain. I opposed and passed out about 2500 fliers against measure V, and contributed to their printing. The whole apparatus of what was supposed to be a slam-dunk campaign, with a well funded war chest…..was defeated by a handful of people with a fraction of the budget. I don’t like any new taxes for any new purpose. But if I were to want one, out of necessity, I would work with the chamber of commerce on such a measure, which the Measure V propagators balked at. All members of Council must go out and campaign for the tax. Several million dollars of dedicated sewer plant funds were loaned to the City to support employee pension obligations. Why was this done, do you think it was a fiscally responsible action and how and when will the money be paid back? Necessity is the mother of invention. This was easy money for the City to pull for another purpose. I don’t think it was the right thing to do. It’s part of a larger picture in which the City of Pacifica, through small and large actions, over the years, has neglected economic development. Had the city been, historically, more aggressive in the area of Economic Development, perhaps the city would be better funded, and not have to borrow from the sewer fund. The legacy pension costs are an obligation, that contractually we must meet. You just cannot walk away from it. Pacifica, as other cities have done, has joined in “pension reform”. However, we are stuck for many years, and the only way out is to “grow”….in terms of city revenues: transient occupancy taxes, sales taxes and property taxes. The new homes on Roberts Road, Harmony at One, if sold, at or near the asking prices, will be a small boost for the city’s finances in terms of the property taxes they generate. Responsible, environmentally sensitive development on some of the city’s “infill” parcels can help. Pacifica must sell its underutilized properties, such as Beach Boulevard, and perhaps the Francisco Parking lot, existing City Hall / Municipal Offices, and relocate the corp yard for sale to developers to create the various tax revenues that can fund the cities current operations as well as meet pension obligations. Open government is a big issue, routinely supported by candidates everywhere, and routinely ignored in practice. In Pacifica, our City website is poorly managed. Council agendas are many times released at the last minute. City committees like Economic Development have no members listed, no member contact phones or emails, agendas with no attachments publically available and public comment is taken at the end of the meeting after all decisions are made. What are your comments about these issues and when can we see formal motions authored by you at Council to correct the listed deficiencies? I disagree with the notion that the whole website is poorly managed! The website is only as good as those who create and post the information, and the webmaster has created a great site in my view. We have a less than full-service city here in Pacifica. We don’t have the staff to provide the website manager with the most available content on a timely basis. Can the chamber make a comprehensive list of everything that is missing and present it to the Council?. Has the chamber formally asked for any of the above? Maybe it could be done. What is your vision for Pacifica? Where do you see this community in 4-8 years? Jerry Brown while mayor of Oakland set an ambitious goal of 10,000 housing units in their downtown to revitalize it and that years later has been realized. We need an ambitious goal here in Pacifica and I have one, its not too high a hanging fruit, we can do it by being a little aggressive: Sell Beach Blvd, for a mixed use including 75-100 room hotel. Build the proposed hotel on Oceana, build the Holiday Inn Express addition, and build another 100 rooms (could be Bed and Breakfast) anyplace in Pacifica where they might fit. 250+ new rooms online producing transient occupancy tax. Existing hotels upgrade to capture higher average daily rates. I see a better funded Pacifica in 4-8 years, thriving on the transient occupancy tax produced by all these new hotel rooms. The Pacifica Chamber deserves an award for promoting Pacifica! If there is no award, the Council should create one. No less than a heroic effort. On top of the hotel rooms, we need to continue in the direction of enhancing our reputation as a go-to spot for tourists and local visitors to fill those new hotel rooms. I wrote about capitalizing on Mavericks in my letter to the Tribune a year ago. Our Pacifica restaurants and bars and attractions can band together to tie into this international event. Same goes for Dream Machines. I want to have more car shows, over and above Terra Nova’s show. A great analog is “Woodies on the Wharf” held in Santa Cruz. A great fun event for the whole family, it ties in car, food and the coastal backdrop very well. We could have something like this on Palmetto, or in Rockaway or by the Surf Spot. I would like to promote and cross promote our arts community. More open studios weekends, possibly merging with the Half Moon Bay/Coastside artists. We need to celebrate and continue to promote our two musical venues, Terra Nova, and Mildren Owen, and try to bring more national and international artists here in Pacifica. The goal of all of the above is “Sustainable Economic Development” which does not degrade our environment, and is financially responsible. Our strong suit is our fantastic coastal environment. Let’s capitalize on that and be the model for other cities in the Bay Area. Why hasn’t Pacifica had the economic progress like other neighboring cities? If you fly, your plane ride experience is as good as your pilots are. You might hope that instead of a “greenhorn”, you might have a pilot with hundreds of thousands of hours of experience, like that guy who landed the plane on the Hudson, with nerves of steel and unparalleled skill. Otherwise you might find yourself in a heap of trouble, there have been a few airline incidents that have ended tragically in the news over the years. Same goes for Council. Some times the best intentions have negative effects. Pacifica’s current and former councils allowed an adverse development climate to evolve and proliferate. In other words, the reputation for investors and developers that Pacifica has, is that Pacifica is a place where you will lose money, because the neighbors come out an oppose your project and your project will not be approved. Or your building permits take “forever” to come, just like the co-owner of Surf Spot wrote two years ago in Pacifica Patch. The new coffee shop owners taking over in Linda Mar have also been delayed. Instead of the outside consultant, let us talk to South San Francisco, San Bruno or Daly City about doing our permits and being our ‘permit desk” if the people we have here cannot speed things up. These are just two reasons, why Pacifica has not had Economic Progress. My career was in Economic Development, making things happen, to help facilitate new revenues. I want to bring my experience to the table here where I own a home. What can you do, if elected to City Council, to increase public, (including visitors and tourists,) awareness and use of Golden Gate National Recreation Area parklands and trails? I would like to work with federal representatives Speier, Boxer, Feinstein, as well as State representatives Hill, Mullin and others to establish a Golden Gate National Recreation Center Visitor Center in Rockaway Beach, preferably in the vacant space next to the Chamber of Commerce, or elsewhere. Such a visitor center can be found near Sutro Baths. A Visitor Center would draw tourists to Pacifica, as well as bring new traffic to our restaurants, hotels and other businesses in Rockaway and throughout Pacifica. The Chamber of Commerce has done an excellent job of marketing Pacifica, I served on the Tourism Committee while it met, one of the great outreaches done is the youtube video, “Pacifica’s Time in the Marketplace” which has universally drawn great responses. I feel an outreach to the BRICS countries, Brazil, Russia, India and China, to publicize Pacifica as a great destination in the San Francisco Bay area as a “base” for tourists to discover the GGNRA in our midst, can up our visits 5-20%. What steps are you going to take to find the $3-4 million dollars that are missing? I support the City Manager who has retained a “Forensic Accountant” to look at the city’s books over the years and determine the disposition of the “missing funds”. Large inter-fund transfers, or temporary to long-term loans from one fund to another should appear in the City Council consent agenda, for public view, and to inform the Council. I join many Pacificans in being infuriated at members of Council for the lack of stewardship of this substantial amount of the public’s funds. A squandering of the public’s trust. In terms of both short and long term revenues, if the best offer for the Beach Blvd. project was for the property without the Library or the pump station, would you support it? Yes, sure. We need to get a broker now to cast the net and find us the best offer. The expression “Time Value of Money” applies here. The City could have began negotiating a year or two ago, as it proceeded with entitlements via the Coastal Commission and other bodies. So, by the time the Coastal Commission gives the project it’s “blessing”, instead of needing to start from scratch, we could be well along the way in negotiating a project. So by not acting, the City loses tens of thousands per month, or hundreds of thousands per year when it cannot afford to. Palmetto is a “pioneering location” for a hotel developer. Any hotel developer will need concessions from the city, including, but not limited to free land, or rebate of transient occupancy tax. Construction costs will be high. I think that the Council’s or certain council person’s idea of the value of the site may not take that into consideration. The hotel will be the “loss leader” for this project and diminish the value for the entire site. New hotels that I had a hand in in Daly City, as well as the Four Seasons property in East Palo Alto had some concessions to get them going. With all that said, I believe a 22,000 square foot piece, at the corner of Monecito and Palmetto….a small piece of the entire nearly 4 acre site, can be reserved for a library. If the library doesnt happen it can either be sold to the selected developer on a first right of refusal basis, or some other party for some other purpose. I don’t think reserving a small piece of the site for a library affects the marketability of the balance of the site, or a library use. This is a great site whether it includes it or not, I am aquainted with a boutique hotel developer who loves this site and wants to do the project. As for the pump station, I believe there are engineering or design solutions which can “screen” the new development in terms of visual or other impacts that would not entail the large expense of relocating it. What Pacifica committees have you served on? Pacifica Economic Development Committee, 2011-2013, including Chair. Are you in favor of Quarry development? I know that the Quarry is “owned” by a consortium of dentists, doctors, attorneys and other investors managed by Ambit in Pennsylvania. I am not sure there has been a full-scale marketing of the property. The website listed on the broker sign either is offline or often does not work. I understand there have been many “tire – kickers” but no buyers. Development climate of Pacifica is notoriously adverse, and any one googling “The Quarry” will learn of the past swings at the bat by Don Peebles and others. The new general plan provides new guidance on the property. We need to listen to Pacificans here and balance their ideas with the City’s needs for new revenues. I would hope that any project would feature a visitor serving aspect, such as a hotel that does not conflict with the west Rockaway Beach business / residential district, but complements it. But right now there is no proposal. The highway issue is not resolved. I cannot say that I favor or oppose because I don’t know what sort of thing a private party might bring. We cannot overwhelm the highway with traffic coming from any use of this site. Also, the City of Pacifica can probably not afford to buy it as a public park. Any private use there will bring new revenues to the city in the form of property tax to pay for needed services. But a substantial constituency would like no development there at all. The future City Council will decide for all of us, what is best for the City as a whole. Whatever happens there, it should and will be a collaboration between many stakeholders. I like the idea of building more business office center like the Crespi Business Center. Why not one in Linda Mar? Have you ever thought of that? What about one in each shopping center to attract more business to the shops there? Crespi Business Center is a mixed use project that includes a restaurant, offices and light industrial. So what you are asking is that all of those uses be incorporated into all of the shopping centers? I’m not sure that is going to work out, particularly for the light industrial uses which have noise or fumes. Linda Mar Center already has some restaurants and some professional office space, namely the dentist. Formerly real estate, insurance and other offices were there. Pacifica needs to keep talking to KIMCO about their leasing program. Since Pacifica has a vibrant arts community, perhaps they could follow Eureka Square in sponsoring a “pop up” art gallery. During 2012, I brought KIMCO to the table with Pacifica to discuss issues and plan for entreprenuership events, and the Chamber of Commerce was invited to that meeting. During 2012, I advocated Small Business Incubators and “Work Space”….places where solo entrepreneurs could enjoy office services, the company and companionship atmosphere of fellow business people, without the cost of renting a larger office or work place. During 2012 and 2013, the Economic Development Committee sponsored entrepreneurship and business education events. We took a list of people interested in sharing a work – space, but there were not enough who signed up and we were unable to make it happen. There is a cost associated for the City to try to start up something like this. My belief is that if private individuals or the shopping center management itself do not want to start these, the city has no business trying to sponsor them. Regarding sewer fees, in 2012, the five year plan was approved by the City. In 2013 – 2017, there was an increase of 17%, a proposed increase of 16% in the years 2018-2022 and a proposed increase of 11% in the years 2023 – 2027. This equates to an increase of 44% in 10 years! Property owners in our City simply cannot afford such fees. Do you have a solution? Also, I have a notice of a rate hearing in May 2012 that states “Sewer service proceeds may not be used by the City for any other purpose.” Yet the Pacifica Tribune reports that the City will borrow the funds. Is this legal? In my canvassing of over 1700 homes, so far, the top complaint I hear is about the Sewer Tax and it’s administration. Seniors and those on fixed incomes cannot afford. I have written for the need to begin an Administrative Appeals Board for those who do not agree with the basis of their Sewer Assessments. I believe that the massive planned increase may result in a full insurrection here. I would expect and support a ballot initiative, here in Pacifica, to cap or limit Sewer Tax increases to 2% a year, following Proposition 13 limits. The City needs to figure out how to find the balance over and above that 2% annual increase. A good idea, said before and said again, is to foster Economic Development here, starting with City properties that are unused or underutilized, as soon as possible, so that private buyers can pay and develop more property taxes, transient occupancy taxes and sales taxes for our City. “Smart Growth” of privately owned “infill” parcels, with environmentally sensitive projects will also help. Helping existing businesses here thrive and expand, any way we possibly can, won’t hurt either. I live in Fairmont with my wife Carmen and my son, John, a fourth grader at Cabrillo. I first thought of running for office long ago when working at Daly City City Hall during the 1990s.I was first inspired by Mike Guingona. Here was a young guy, young as me, running for office, winning and making a difference. I recently wrapped up a long career as a municipal employee. I know what municipal employees are going through, and now I want to make a difference on the Council side of things. As I lived in Broadmoor until 2007, I could not run for any council. But soon after I bought my house here in Pacifica, I noticed all the vacant storefronts and wanted to apply my expertise in economic development, so I volunteered to help out and was appointed to the Economic Development Committee, which I served on between 2011-2013, including as chair. I floated some trial balloons discussing the possibility of running with some EDC members. Len Stone and Mary Ann Nihart encouraged me to run, Sue Digre signed my nominating petition, and in November 2012, I did not do too badly for an unknown, coming in second, or actually statistically tying with Rich Campbell. I was encouraged by some business people to try again in 2014, and here I am. I made an offer on the Beach Boulevard site earlier this year on behalf of an overseas investment group to do the program — hotel, townhouses, retail, restaurant, vetted by the neighborhood, but the city was not ready. I want the city to jump start the Beach Boulevard project, with or without a library. Like many in town, I want to preserve library services in the south part of town. While many are gung-ho about a new $35 million library, I’m more concerned about the condition of our two fire stations (said to be seismically questionable,) as well as issues brought to my attention regarding the North County Fire Authority by some former employees. A second dog park for north part of town and a new bike/skateboard park near Park Mall or Frontierland would work for me too. I wrote the letter to the editor regarding Council Member Mike O’Neill’s slide show about capital improvement projects and how the northeast parts of town were “left out.” I am hoping those living in the northeast part of town will come out and support representation or better representation for their neighborhoods by voting for me. While the folks down the hill argue about Highway One, I want to shift some attention to Skyline Boulevard and get the Council to request Caltrans do a feasibility study for improving that road. As for Highway One, I believe the road should be improved; however, if there are attributes that can be changed beforehand, let’s look at them. I’m open minded. Is this your first political office? Are you involved with any local organizations? President Elect of Pacifica Rotary and Contest Chair for Fog Fest Organizing Group, member, Pacifica Chamber of Commerce. I want to get more involved with Fairmont Subdivisions Improvement Association in the future.